Action Machinery Industries Co., Ltd.
No. 30, Renhuagong 18th Rd., Dali Dist. , Taichung City 412, Taiwan, R.O.C. 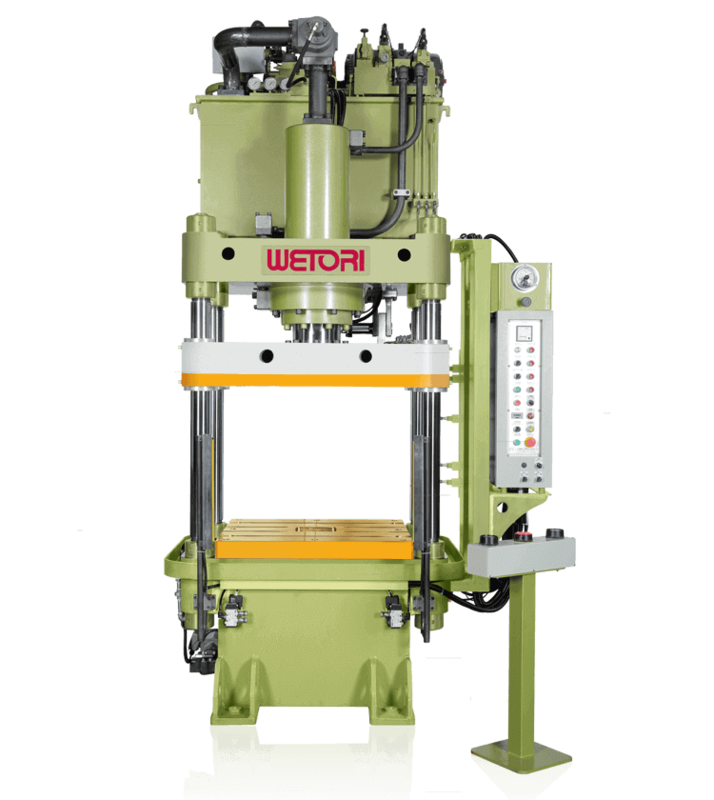 Our traditional 4-Column Hydraulic and C-Type presses with reinforced structures, are manufactured with consistency in mind. It is fit for hydraulic circuit design and integrated manufacturing proceedures which can produce a high quality and precise product. It is multifunctional and has a wide range of applications available at the request of the customer. ISF and ISC presses are applicable to loading, bending, straightening, stretching, compressing, forging, trimming etc. to complimentary machining patterns. Address: No. 30, Renhuagong 18th Rd., Dali Dist. , Taichung City 412, Taiwan, R.O.C.